It is an additional laboratory procedure employed when the covering of the embryo (Zona Pellucida) looks abnormally thick. 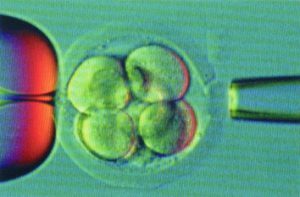 This can be an important cause of failure of implantation where embryos are formed but fail to attach to the lining of the uterus. Here this thick shell is thinned out through laser or mechanically before the embryos are put back into the uterus. This technique is particularly helpful in female patients of older age group suffering from PCOS, endometriosis , or possessing high FSH.